Makers of wearable computing devices will ship 110 million products in 2016, a big increase from 2015, with Android Wear smartwatches starting to catch up to Apple watchOS devices, IDC predicted. The number of wearable devices shipped during the year should grow by more than 38 percent from 2015, IDC said Thursday. Smartwatches like the Apple Watch and Android Wear often "capture the spotlight," but other wearable devices make up most of the market, Jitesh Ubrani, senior research analyst for IDC Mobile Device Trackers, said in a statement. Shipments of smartwatches running Android Wear will grow by an average of 48 percent a year between 2016 and 2020, IDC predicted. Smartwatches using Apple's watchOS will also grow, but only by 22 percent a year, the analyst firm said. By 2020, Apple will hold a 37.6 market share in smartwatch OSes, and Android Wear a 35 percent share, IDC said. Fitness trackers now make up a big chunk of wearable sales. Fitness tracker maker Fitbit had nearly 30 percent of the global wearable market share at the end of 2015. Smartwatches will, however, grow to about a third of the wearable devices shipped in 2020, Ubrani said. One area for potential growth is products from traditional watch makers that include fitness or sleep tracking functionality, he added. There is "plenty of room for simpler devices" that appeal to people who aren't technophiles, Ubrani said. The wearables market generate double-digit percentage growth through 2020, with an estimated 237.1 devices shipped that year, IDC predicted. Watch and wristband wearable shipments will reach 100 million units in 2016, up from 72.2 million in 2015, IDC said. Other form factors, including clothing, eyewear, and so-called hearables, or smart earbuds, will reach 9.8 million units in 2016, it said. 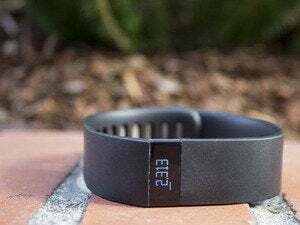 Wearable vendors, led by Fitbit and Apple, shipped 27.4 million devices in the fourth quarter of 2015, up 126.9 percent from the last quarter of 2014, IDC reported last month. IDC sees Apple's watchOS as maintaining its top market share among smartwatch OSes through 2020. About 14 million smartwatches running watchOS will ship in 2016, and 31 million in 2020, IDC predicted. The Android Wear OS will nearly catch Apple, however, IDC predicted. About 6.1 million smartwatches running Android Wear will ship in 2016, and 28.8 million in 2020, IDC said. The Real-Time Operating System, favored by some Chinese device makers, will ship on 8.3 million smartwatches in 2020, up from 1.4 million in 2016, IDC said.